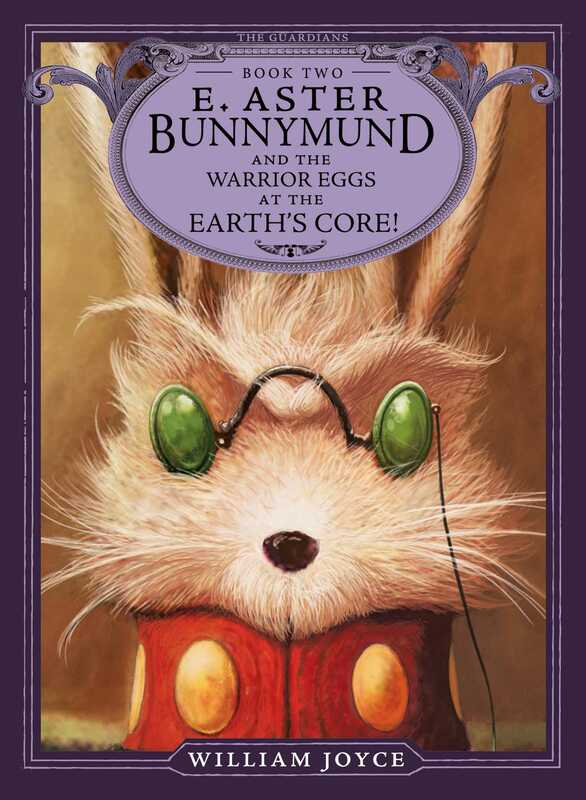 Forget the bunny trail.…In this addition to the groundbreaking series from the legendary William Joyce, Guardian E. Astor Bunnymund is on the warpath. This second book in The Guardians series is about much more than fixing a few rotten eggs—it brings the Guardians one step closer to defeating Pitch! 1. William the Absolute Youngest commented that he was afraid Pitch’s magic might be stronger than Ombric’s magic. He was reminded of what Ombric always said, “Magic’s real power is in the believing.” When one watches a magic show and understands how the “trick” is performed, does the “magic” disappear? 2. Who was in charge of the library when Ombric was away? What qualifications did this character possess to take care of the library? 3. While Ombric was away from his village, he was able to see and comfort the children and villagers. How did he communicate with the village? How did he comfort each individual child? What are ways we can communicate with and see others from great distances? 4. North sent a package to every child. Every package was special to that child. What was North able to do to make these presents perfect for each child? 5. What was in the big box? What was so special about this present? 6. Katherine had made a magical sketchbook which allowed the drawings and words she wrote to come alive on the page. Is this so magical? Do some stories just come to life in your mind as you read them? Can you visualize the action and setting if the descriptions are written well enough? Is it important to have an imagination? 8. Katherine was drawn to the orphaned snow goose egg whose parents could not be found. What connection did Katherine feel toward the egg? Why was she so saddened by this orphaned egg? What did she do with it? 9. The Man in the Moon presented Nicholas St. North with a sword. What made this sword so special? North felt the sword had hidden properties. How did North discover what these properties were? Why was it important for North to know what the sword was capable of doing? 10. When North practiced using the sword given to him by the Man in the Moon he managed to win against all who fought with him. North was bothered by this. Why would anyone be bothered by winning? 12. How did such a valiant soldier as Pitch become so evil? Can the environment in which one lives have an effect? Could there have been a way to prevent Pitch from becoming evil? Explain. 13. The Lamas’ castle tower transformed into a rocket that was extremely fast and accurate. It was used only for extreme emergencies, and hadn’t been used in thirty thousand years. Can you think of a situation which would require such drastic measures? What rules and instructions should be there so that this tower would not be misused? 14. Define fear. What makes fear such a powerful emotion? Even the Spirit of the Forest showed fear in her eyes when Pitch and the Fearlings came to the village. Can outrage overcome fear? Is there anything else that can combat fear? 15. Nightlight has no fear. He normally does not speak, yet he said to Pitch, “We fear you none!” and then he laughed. This made Pitch mad. Why does Nightlight have no fear? What makes Pitch mad, the laughter or the statement “We fear you none,” or both? 16. During a scuffle in Ombric’s library, the moonbeam was injured. He told Ombric that Nightlight said his game was most tricky and to never fear. Moonbeam admitted that he had a “scaredy feeling” but was stronger by the telling of the tale. Does telling about one’s fears help? If it does, why? 17. Ombric, North, and Katherine became very close friends. They seemed to be able to sense each other’s thoughts. Is it possible to know someone so well that one can communicate with another without speaking? What is so special about friendship? 18. How did the children’s strength against Pitch strengthen Nightlight, which in turn brightened his light? 19. When Pitch touched Nightlight, Pitch’s hand turned to a flesh color. Discuss the implications of this change. 20. What is a bovine? Who is the intergalactic bovine creature that on occasion jumps over the moon? 21. North is intrigued by E. Aster Bunnymund’s choice of surrounding himself with what tempts him the most—chocolate. Why does North find this so important? What does it tell you about E. Aster’s personality? What happens to E. Aster Bunnymund when he eats chocolate? 22. As Nightlight was kept captive by Pitch in the lead cage, Nightlight’s light began to dim as the lead absorbed it. Unknown to Pitch, someone else was in the cage. Who was in the lead prison with Nightlight? What did this creature do to brighten Nightlight’s light? 23. North and Katherine arrived at Easter Island and met E. Aster Bunnymund. When they asked for help, E. Aster Bunnymund was not interested in helping. North decided to find the relic using his sword. After he found the relic he attempted to take it but was stopped by E. Aster Bunnymund. What did North learn of the origin of the egg relic? What was so special about the egg? 24. Katherine was able to convince E. Aster Bunnymund to assist them by telling him that Pitch and the fearlings don’t like chocolate. She wasn’t sure that was true, but it sounded good. Is it right to tell a lie to convince someone’s change in mind? Did her lie help her get what she wanted? What is she learning if this is true? Is it ever acceptable to lie? 25. North and E. Aster argued over who was going to rescue the children Pitch had captured. The argument stopped when Kailash walked into the room. How did her arrival change the situation? Who benefited from her arrival, North and Katherine, E. Aster Bunnymund, and/or Kailash? 26. E. Aster Bunnymund has not had contact with humans in many years and he is the last of the Pookas. He insists he must work alone. Has he been alone for so long he doesn’t remember what friendship is or how to work with others? Is it hard to work with others? Do you have to be friends to work well together? 27. Pitch’s lair was described as being “like the fabled box of Pandora.” What was Pandora’s box and how did this help to describe Pitch’s lair? 28. Pitch had discovered a new way to make his Fearlings more powerful and able to go out into the daylight. As the children uncover what Pitch was up to, they become scared. Petter reminds the children that if they are afraid, it only makes Pitch stronger. How could that happen? What can they do to help themselves be brave? 29. E. Aster Bunnymund found himself getting excited about having an adventure with North and Katherine. He thought that there was something to be said about having an adventure. What did he mean by this? 30. As Katherine looked at Pitch’s locket, she wondered if the locket might be a more powerful weapon than daggers. What was her reasoning for this? What experience in her life brought her to this conclusion? 31. Compare and contrast the Fearlings before and after they have their armor. What were they able to do after they had the armor that they couldn’t do before? Are they more dangerous. 32. During the very chaotic fight in Pitch’s lair, Katherine, North, and Bunnymund realized they needed extra help from Ombric. How were they able to communicate their need to Ombric during the battle? How did their need help Ombric regain his strength? Are there other stories where people are able to communicate in the same way as these friends? 33. Several times during tense moments, North tells jokes. What is the purpose of these jokes? How do they help the circumstances the characters are in? 34. North had been taught by the Cossacks “to let the villain make the first move.” Is this good advice? Why or why not? 35. When Pitch was trying to enslave the children again, North jumped between them. Rather than try to use the sword as he normally would, this time North commanded the sword to do what needed to be done. What had North learned about his sword? Was this something he learned through his experiments in the beginning of his studies of the sword? Was this something that he was told the sword would do? How did he know what to do with his sword in this particular moment? 36. At the climax of the battle, instead of killing Pitch, Katherine had a different idea. How did she manage to end the battle without any of the main characters being killed? Was this an appropriate solution? Should she have let the others kill Pitch and be done with him? Why or why not? 37. Katherine discovered the importance of writing to help her understand and heal. This new force within her allowed her to view her life in a new way. Have you ever had a sense of relief as you write? Does writing help you to organize your thoughts so you can understand things better? Are there other ways in which one can express one’s thoughts to better understand something or to help oneself heal from an experience? Compare how the children deal with their experiences to how Katherine does. 39. How have the adventures of Katherine, North, Ombric, Nightlight, and E. Aster Bunnymund made them all close friends? Do shared experiences always bring people closer to one another? How has E. Aster Bunnymund adjusted to having friends after so many years alone? 1. Research how quickly a human being grows at different stages of life. Kailash was growing at 2 – 3 inches per day. How quickly do geese mature? Is it possible for a human to grow 2 – 3 inches a day? Does Kailash fit the description of a snow goose? Compare and contrast the different rates of growth. 2. Locate the Himalayan Mountains on a map. Find the Kailash Mountain. Are there any interesting stories about this mountain? 3. Have the students research Pookas. What is their origin? Are there any famous stories or movies about a rather large rabbit pooka? 4. Consider the different personalities of Ombric, North, and Katherine. What characteristics do they share? What are each one’s strengths? To help with the discussion, make a chart listing the characteristics. Do any of the characteristics enhance/complement someone else’s? 5. 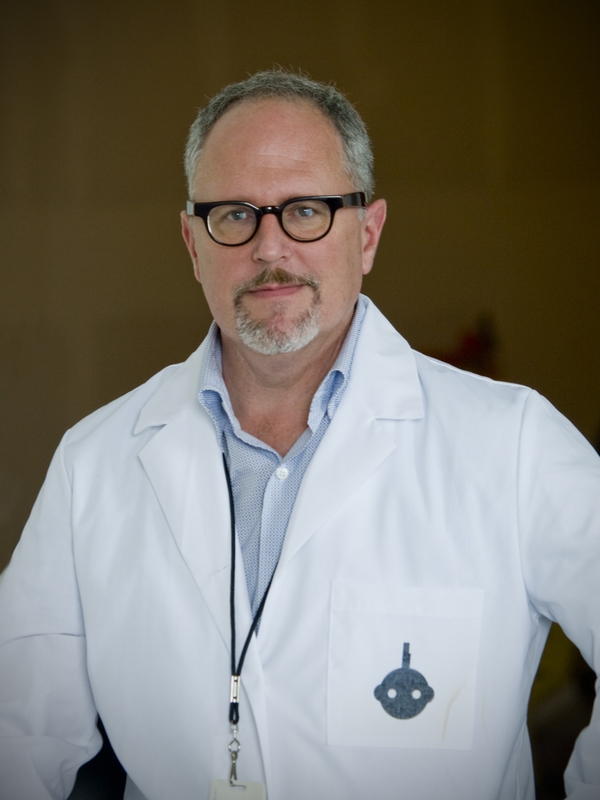 Pitch uses lead to encase Nightlight and the children. What are the properties of lead? What could happen if the children were left in a lead cage? Is lead dangerous? 6. Have the students research the story of Pandora’s box. Once they have read the story, have the students write an adaptation of the story for a play. Allow the students to perform the play. 7. Assign students to work together on a project but be sure that the students are not working with their usual partners. Ask the students how it was to work with partners they did not know. How did they decide who would do what, and was it done equitably? Did it take time to learn each other’s strengths? Compare and contrast how they felt to how E. Aster Bunnymund must have felt deciding to work along with North and Katherine. 8. Have the students use their imagination and write a story about the ten-foot-tall warrior eggs. Have them include details such as their origin, how were they raised, how they learned to be warriors, when the last time was that there was a need for their expertise, how did they felt about going to war. 9. Bunnymund’s train stopped as smoothly as a duck landing on a pond. This is an example of a simile. Discuss what a simile is and its use in writing. Have the students make a list of similes. 10. Discuss what a myth is. Have the students write their version of a myth of E. Aster Bunnymund and how he transforms to become a warrior. Include in the myth a version of the war against Pitch, the importance of chocolate, and the Pookan war cry. 11. Research mental telepathy: is it real? What is a mind meld? Is mental telepathy similar to a mind meld? Beside the Pookan Mind Meld, what other stories use mind melds? Are they done in a similar way as the Pookan one? 12. Have the students research Yetis and abominable snowmen. Are they real? What documentation is available on them? Have the students write persuasive arguments either for or against Yetis and Abominable Snowmen and their existence. 13. Have the students reenact the famous battle scene between North and Pitch. Allow the students to make the costumes and props. Have the students perform their play for other students. Reward their efforts with chocolate. 14. Nicholas St. North gave each child in the village a present that, when opened, gave that child what he or she wanted. Have the students write an essay on what they would wish for from Nicholas St. North and why they wished for that particular present. 15. Compare the Easter Island that North and Katherine found to the Easter Island of today. Book Cover Image (jpg): E. Aster Bunnymund and the Warrior Eggs at the Earth's Core!